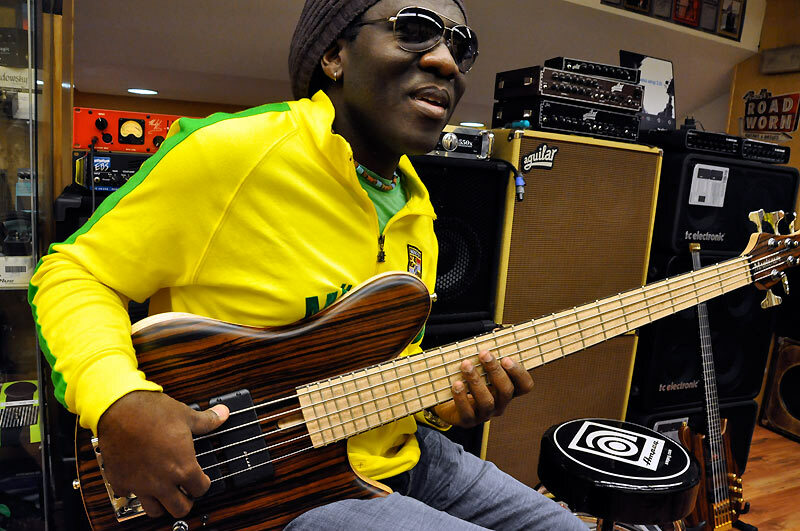 Richard Bona, a Cameroonian by origin is a bassist whose reputation is established across five continents, however, he says he will no longer set foot in Cameroon, as they will require him to get an entry visa. “Despite my unwavering commitment to my country I have to make a decision that is only my opinion. “I do not put my feet as more people ask me an entry visa” … at some point you have to be consistent … by consulting the texts of my country I am not … so I Cameroonians and remain consistent with the law … until further notice. Richard Bona, “he has written on his official Facebook page, in a post published on 29 October. else … even for the leaders, “he added at the end of this post widely discussed. “What a mess! Yet Richard Bona is an ambassador to Cameroon should already long issue a diplomatic passport as some African countries, “growls Sam Mbende, former president of the Cameroon Music Corporation, among many other comments. “I traveled last year on a flight SN Brussels … Arriving in Brussels, the passenger sitting next to me:” Minister stationed in Cameroon “released his French passport … Shocked ??? Not at all … Simply, gentlemen stay consistent with legal texts … you vote, “says Richard Bona over the debate on its Facebook page. “My last post is” on a universal level, equality before the law is a principle that all citizens without distinction must refer. The power will not act, the force will not make the law, if by any means they befall to influence the law it is that the law does not exist “,” notes Bona, also professor of music at the New York University, in an article posted Oct. 31 on the social media page message. Obtaining and / or forfeiture of Cameroonian nationality is legally governed by the law of 11 June 1968 on the Nationality Code. “Lose the Cameroonian nationality: The major Cameroonians who voluntarily acquires a foreign nationality,” can we meet in the first paragraph of Article 31 of the Code. Under this law, Cameroon does not accept dual citizenship. Last year Ndedi Eyango was stripped off his position as the head of Civil Society of Musical Art (SOCAM) by the Minister of Culture because it was proven he possessed dual nationality. I concur with Mr Bona, what do you think?